The good management of the vulture restaurants by regular provision of sufficient amount of supplementary food for vultures continues to show very positive results. The persistent and professional care of the BSPB team managing the vulture restaurant in Studen Kladenets under the Re-Vultures and Egyptian Vulture New LIFE projects seems to benefit substantially the vulture populations in the region. It became now more and more common to observe over 10 Egyptian Vultures feeding in the same time at this station, together with about 50 Griffon Vultures and 1-4 Cinereous Vultures. 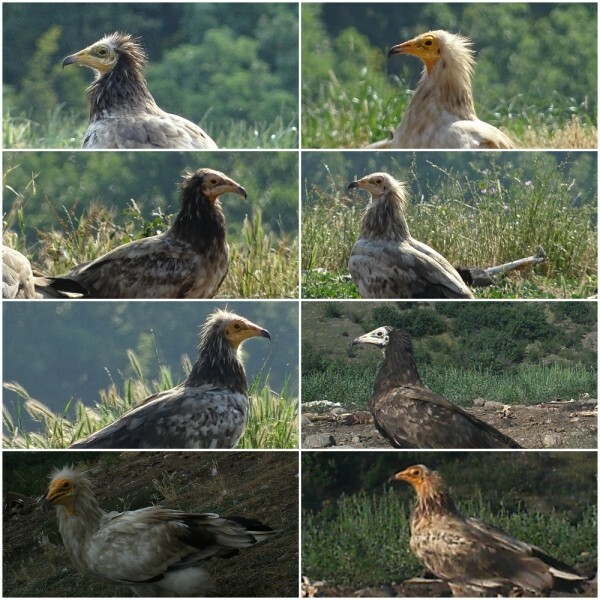 What is more, this year at least nine different Egyptian Vulture floaters (immature and non-breeding adult birds) have been identified to visit the site thanks to the trail cameras installed at the feeding station. All four captive-bred Egyptian Vultures which were released through the delayed release method also regularly visit the feeding station. There have been years since such congregations were observed in the Balkans and now due to the efforts of the conservationsts they seem to appear again. Among the tagged Egyptian vultures with transmitters, at the vulture restaurant in Studen Kladenets the following birds could be observed: Iliaz - the only survivor from the nine juveniles tagged in 2012 (this breeding season, Iliaz spent a few months in Greece setting a territory and forming a pair with a Greek partner but still without nesting); the four individuals used for the delayed release programme in Eastern Rhodopes - Akaga, Polya, Panteley and Boyana; and Boris - the adult male tagged in the 2015. 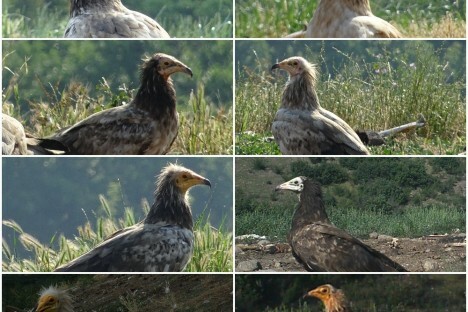 Overall the network of the vulture restaurants in Bulgaria, considering also the feeding stations efficiently managed by Green Balkans, FWFF and BSBP in other parts of the country, seems to play a key role as predictable food sources and a favorable precondition for forming small scale congregations of Egyptian vultures and benefiting not only floaters but also unsuccessful breeding pairs.